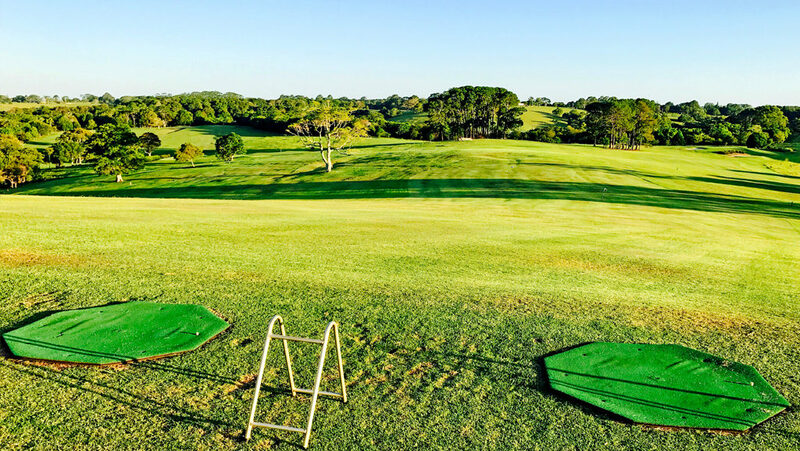 Maleny Golf Club welcomes members, visitors, their families and friends to enjoy playing golf on an award-winning course set high on the range in a beautiful natural environment. The course offers all visitors a hinterland golfing experience where the air is fresh, access is easy, people are friendly and every game is memorable… elevate your spirit! 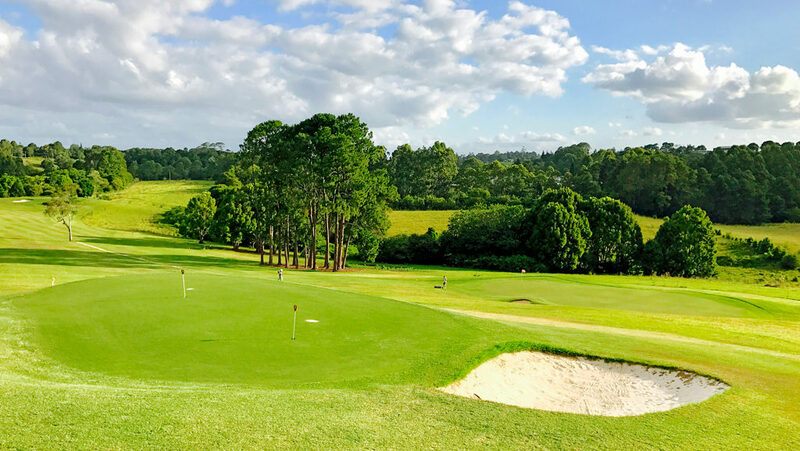 Maleny Golf Club’s picturesque twelve-hole course is open to members and visitors 7 days a week, with competitions on Tuesdays, Wednesday, Thursdays, Fridays and Saturdays. Please view our Fixtures Calendar for a full program. If you’ve got a Rostered Day Off on a Monday then why not take advantage of our Special Monday Offer for 2 Players with a Cart playing either 9 Holes [$49] or 18 Holes [$69]? For more information and to download the Special Offer Flyer Click Here. Our practice range is open daily to the public as well as members of the club. Practice is limited to seven irons and higher. Come and brush up on your swing or use the practice green and bunker. If our office is unmanned, an honesty box is in place. In the interests of members and guests, please observe the following general dress standards during your visit to Maleny Golf Club. The emphasis here is about being neat and tidy in appearance. Tailored trousers or shorts. Neat chino, denim and cargo-style pants/shorts. Collared shirts, polo shirts or turtle neck golf shirts. Shirts preferably worn tucked into your trousers or shorts (not essential). Long socks pulled up or short socks or ankle-type socks with a logo. Soft-soled golf shoes or closed-in footwear. Public/social golfers can also wear sneakers or trainers. Beach wear, collarless shirts, t-shirts and singlets, thongs or sandals. Excessive or offensive printing or logos. Football gear (guernseys, shorts or socks). Work boots or steel-spiked golf shoes. Tailored shorts/slacks/Skirts, three-quarter length slacks, skirts. Blouses/shirts with collars. Shirts with small side splits or short basque may be worn outside shorts, slacks, skirts. White or fashion golf socks or anklets. Soft-soled golf shoes or closed-in footwear. Public/social golfers can also wear sneakers or trainers. Beach wear, tights-style or two-way stretch pants/shorts, thongs or sandals. Sun tops or singlet tops. Football gear (guernseys, shorts or socks). Work boots or steel-spiked golf shoes.